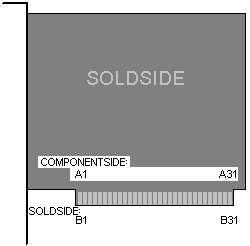 62+36 PIN EDGE CONNECTOR MALE at the card. 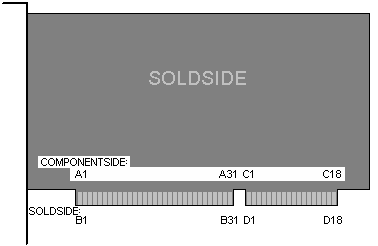 62+36 PIN EDGE CONNECTOR FEMALE at the computer. Direction is Motherboard relative ISA-Cards. System Bus High Enable, tri-state. Indicates a 16 bit data transfer. The System Bus High Enable indicates high byte transfer is occurring on the data bus SD8-SD15. This may also indicate an 8 bit transfer using the upper half of the bus data (if an odd address is present).